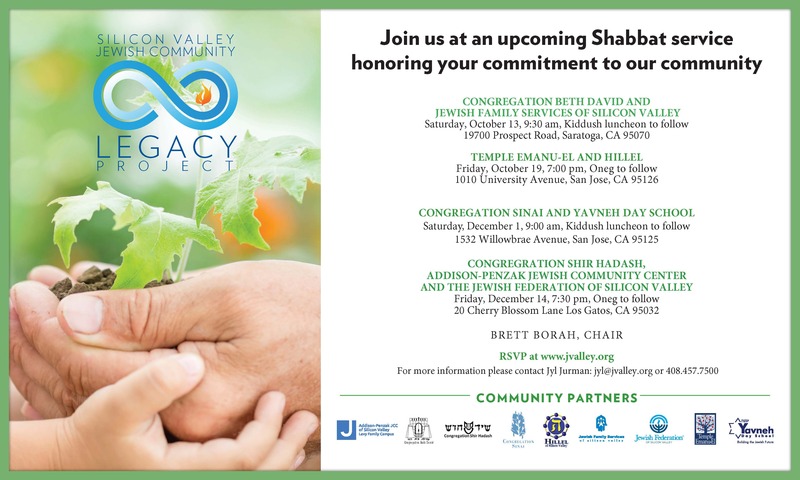 The Silicon Valley Jewish Community Legacy Project is a collaborative program of Silicon Valley synagogues and agencies. The Community Legacy Project was created to raise endowment funding, which will help strengthen and perpetuate our Jewish community. Brett Borah, Chair, Community Legacy Project at maddogbab@aol.com. Click here to visit the Community Legacy Project site!